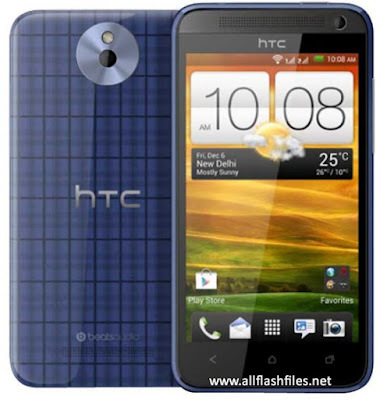 The latest Stock Firmware of HTC Desire 501 dual sim 603e has been released and free download links are available for download from different servers. You can use this stock ROM for hard flashing your mobile. It is recently updated by its developers. You can use flashing tool or box for flashing your mobile. First of all download the latest setup of your flashing tool or box which you want to use as a flasher then install it on your PC. After that download the latest flash files of your phone and put it in one specific folder in C:\Programs Files. Because during flashing you can find it easily. If you have not an experience in flashing please don't take a risk to flash your phone. If you are flashing your phone with corrupted or outdated firmware your mobile will go to dead. Before flashing please take a backup of your important data like images, messages and contacts. After flashing you will lose your all of data and your mobile will restored in its original settings. You can restore your backup data safely to your phone after successful flashing. Now you can download latest flash file/stock ROM of your phone from below download links. If download links are not working or you are facing trouble during downloading please contact us via commenting we will update download links very soon. Sir where is flasher of desire 501? Hello dear! Recently we have shared just flash files of Desire 501. We will share its flasher very soon.